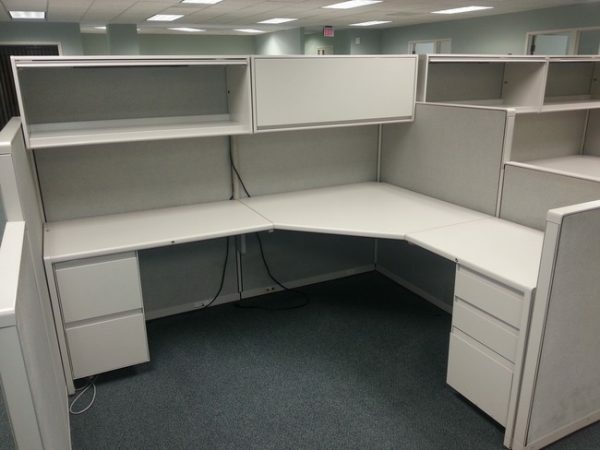 These 6X8 Steelcase 9000 cubicles are in great condition. Each station includes pwer alnog the spine, one box box file, one file file, one over head cabinet and many other options. This price is for 30 stations.